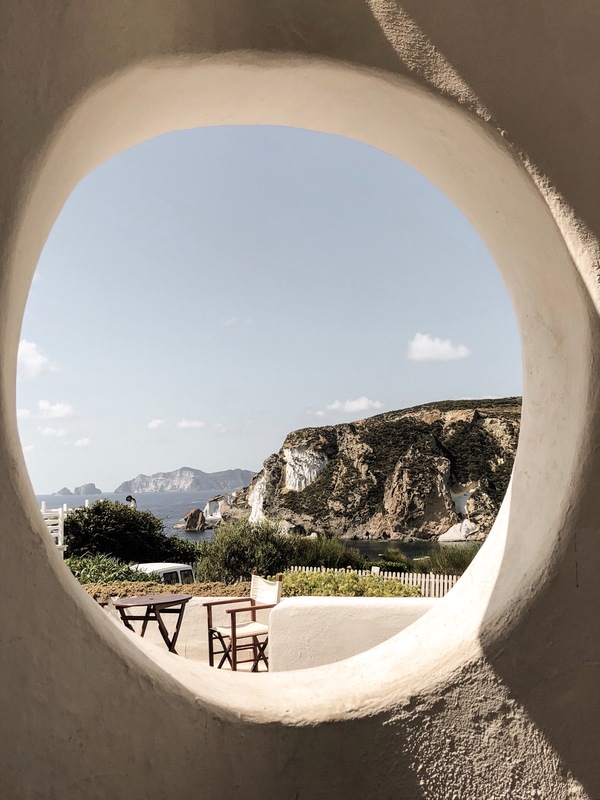 I had to title this post “How to get to Ponza” because Nate and I left a part of our hearts on this remote Italian island. In this post I’ll be sharing our travel tips, tricks, and highlights, the most important takeaway being how to get to this magical locals only island! 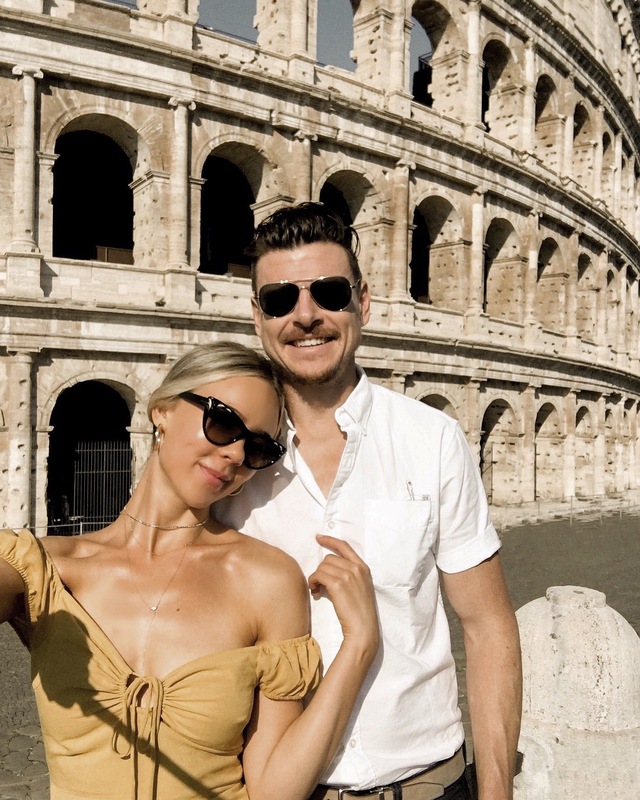 We started our honeymoon in the eternal city of Rome. This terra cotta wonder excites with every historical twist and turn. It’s beauty and warm inviting culture will have you lingering longer and experiencing la dolce vita with all five senses. 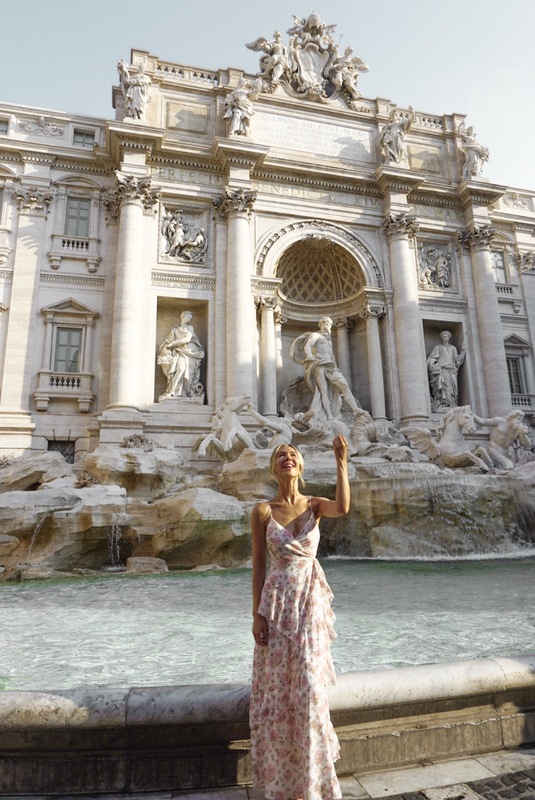 Tip: Visit the Trevi Fountain early. This eighteenth century baroque fountain was hands down the most breathtaking piece of architecture we’ve ever experienced, truly a must see. We arrived at the fountain at about eight AM avoiding the typical hoard of tourists. We had the opportunity to take photos and admire every detail of the masterpiece with very few bystanders. Trick: Order a spritz, it comes with snacks. 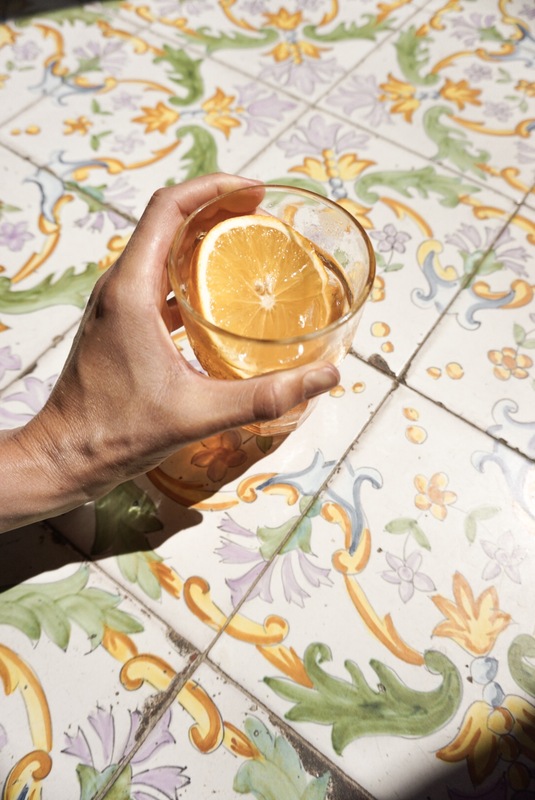 Every cafe in Rome has a bar, well equipped to make you the perfect mid-day drink. 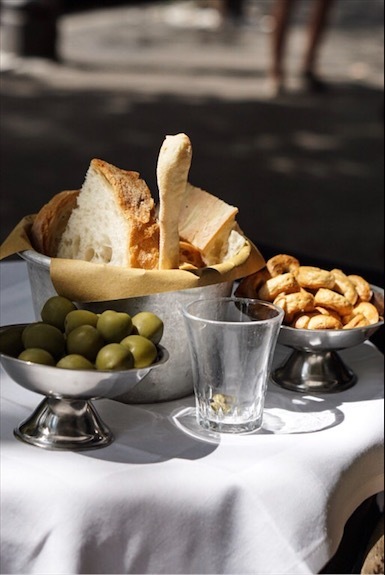 We learned every drink comes with a bevy of snacks, usually including olives, fresh bread, chips, and sometimes the best bruschetta of your life. Skip a heavy lunch and enjoy your very low cost (about 6 euro) apertivo. Ps don’t forget to ask for olive oil and balsamic to go with your bread. 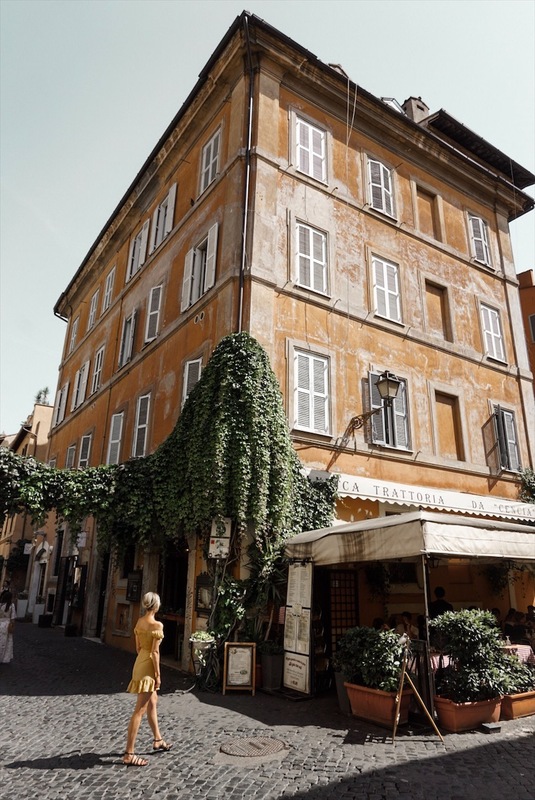 Highlight: The Traverste, this stunning Roman neighborhood was our favorite place to get lost. Nate and I love to freestyle most of our European days, meals, and sights. We’ve found researching the best neighborhoods in a city and having the freedom to explore is much more rewarding than a mile long itinerary. 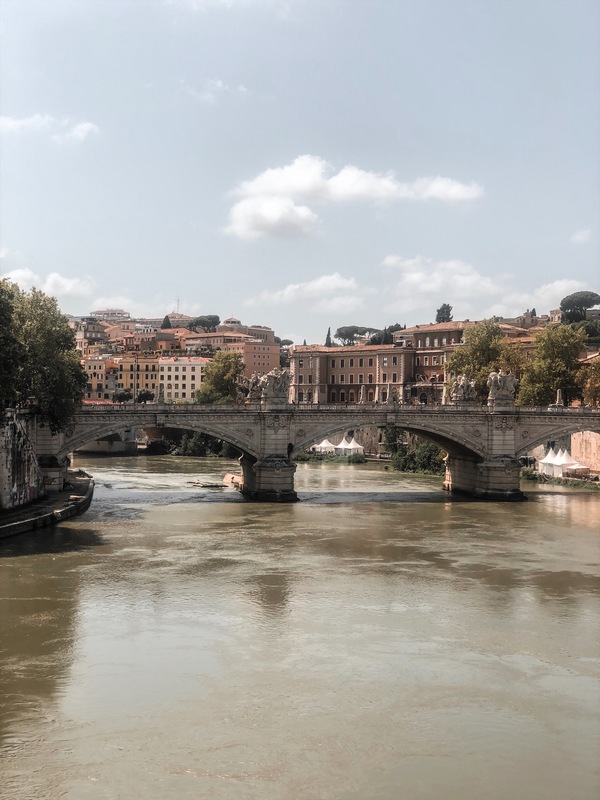 The Traverste is a historic neighborhood on the west bank of the Tiber river, it’s imperial wealth (Julius Caesar built his villae there) makes for a stunning architectural tour, complete with climbing greenery, perfect for those inspo worthy instagram images. Ps all of the food is fantastic, don’t fret about picking a restaurant in the Traverste. Now for the title tip, how to get to Ponza. 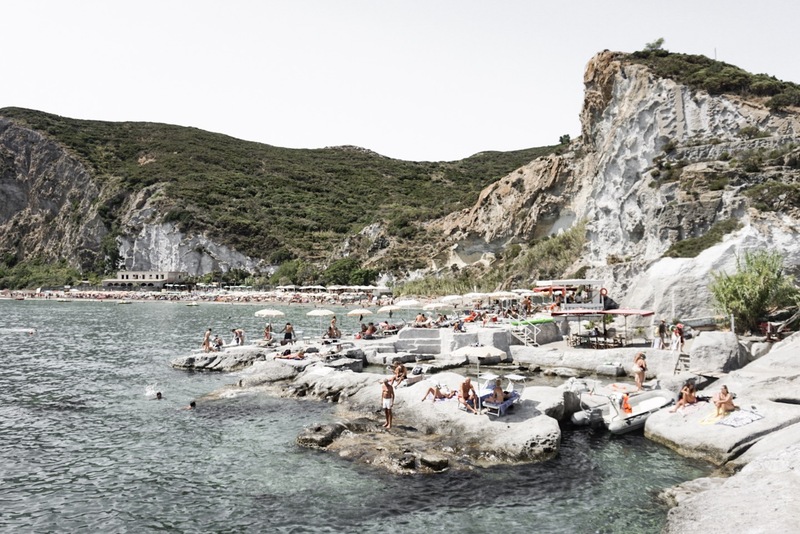 The island of Ponza has been a Roman escape for over two thousand years. 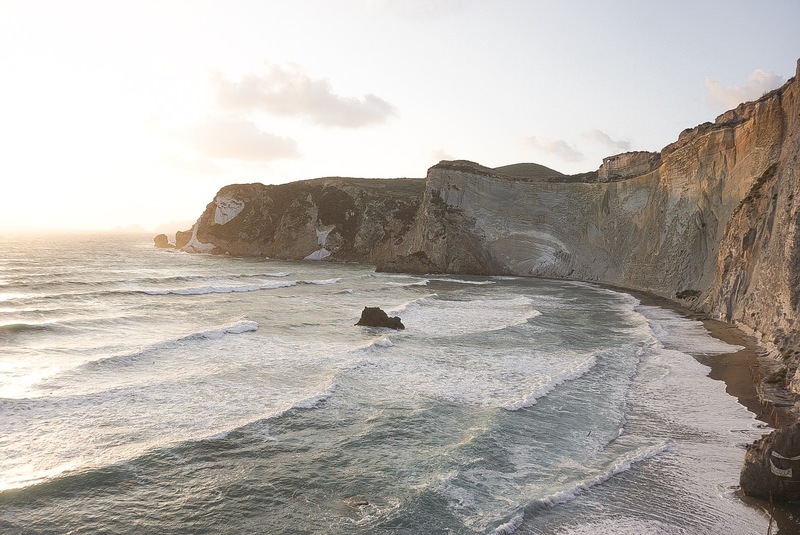 Think of an unpretentious Capri, with a locals only feel, and the most stunning views on earth. Weather depending, the trip to Ponza should only take three and a half hours, weather depending. We encountered a five hour weather delay which flew by thanks to an excellent outdoor bar tender in Formia. 1) Take the Trenitalia train from the Rome Termini station to the Formia Gaeta station. 2) Take the Laziomar ferry from Formia to Ponza. Tips: Book all of your trains and ferries in advance, there are only two ferries to Ponza a day and they may book up. Book first class train tickets for AC and spacious seats, the tickets are only a few euros more. You can easily walk from the train station in Formia to the ferry port, it takes about fifteen minutes. If you get motion sickness, prepare with meds pre ferry. The seas were very rough on our initial ferry, barf bags were handed out like party favors! Once we reached the sun kissed island of Ponza, the challenges of our weather delay and sea sickness inducing ferry melted away. The pastel buildings, adorable Italian families in their seaside wardrobes, and crispy breeze from the Tyrrhenian sea was an idyllic setting for the second leg of our honeymoon. We fell in love with the kind locals, lack of American tourists, abundance of fresh seafood, and a pace in stark contrast to our Los Angeles lifestyle. 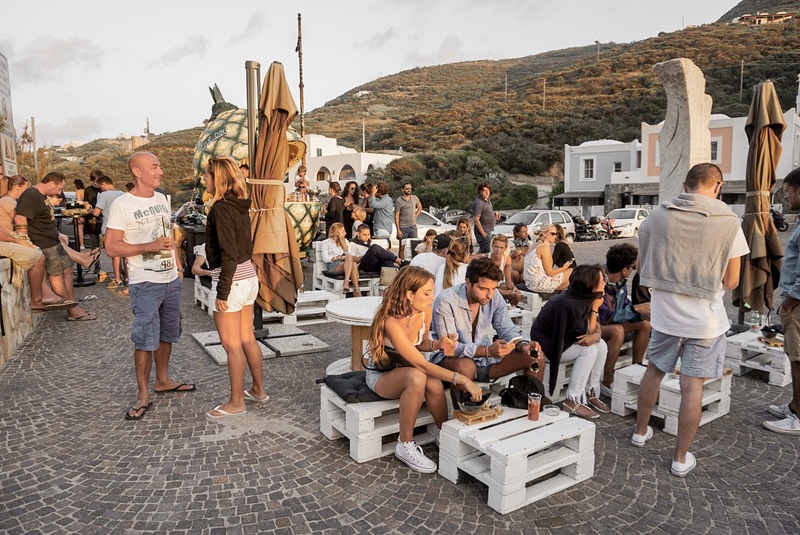 Tip: Make dinner reservations, Ponza is small and the restaurants book up. We loved Ristorante II Porticciolo so much we ate there twice. Make reservations for 8:30 PM and request a harbor view table. Order the fried calamari, octopus salad, fresh fish tar tar, and the whole grilled catch of the day for an impressive table side deboning. Ps you get 0 points if you don’t order a bottle of organic “biological” white wine as an accompaniment. Highlight: Charter a small boat at the main harbor for a full exploration of the island by sea. There are multiple companies offering boat rentals ranging from $100-$200 euros for a full day rental. Captaining your own boat is the best way to view the impressive cliffs, stunning beaches, and hilltop ruins. Pack some Italian delicacies from one of the many markets on the island. Ps don’t miss out on packing a heirloom tomato caprese, a ham and cheese sandwich, and the best tuna salad you’ll ever experience. Uhhh just writing this post makes me want to go back and relive all of these incredible moments. I’m so thankful to have had this incredible experiences to kick start our life as husband and wife. 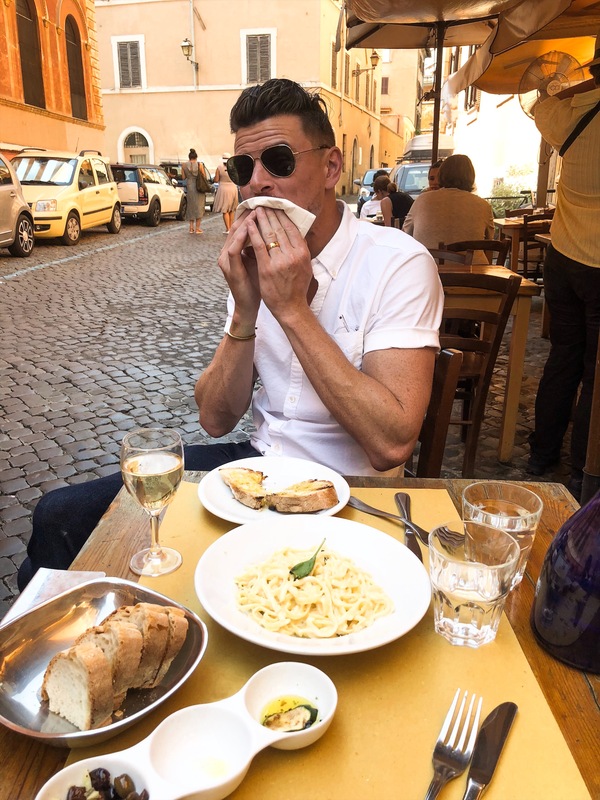 I hope you have the opportunity to utilize these tips, tricks, and highlights for an Italian getaway of your very own. For more on how I stay healthy while traveling, check out this post HOW DO I MAINTAIN A HEALTHY ROUTINE WHILE TRAVELING? "How do I cure acne caused by stress?" "Acne prone skin hack, sheet masks for moisture and glow"
DYING over your outfits.. I’m so happy for you! You Two are the cutest. Where did you get that mustard dress? It’s so gorgeous! Hey love!!!! Awe you’re too sweet! forever 21 online! oh is it too late to get you that Paris air B and B link?